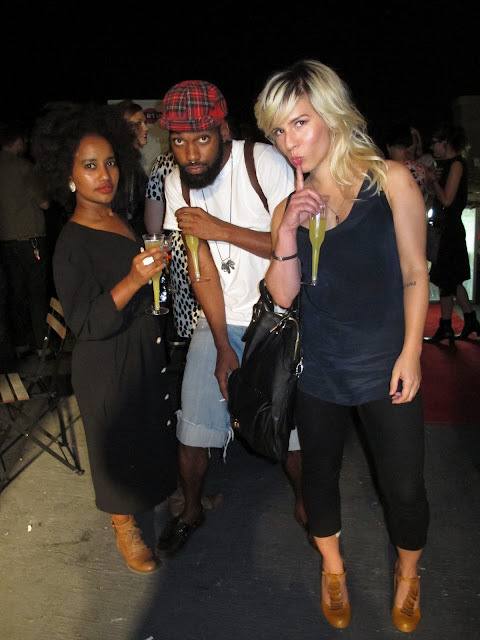 Last night was Toronto's first ever Fashion's Night Out (FNO). It was one of the reasons why I took my time to travelled to the great YYZ. Knowing FNO finally came to Canada kept me hyped up for the past month or so… but now that I finally got to experience it, I didn't find it all that interesting. I had lots of fun though, mostly because I met so many fabulous people here in Toronto, and I enjoyed every moment of getting to know them. 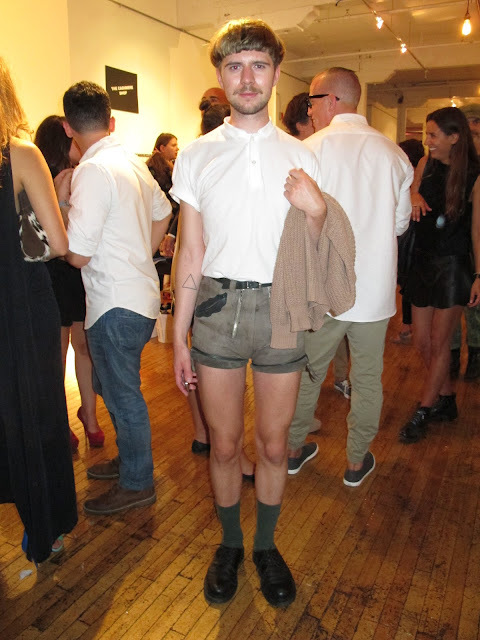 Other than that, I think FNO is still somewhat an experimentation. Afterall, it IS the FIRST one. 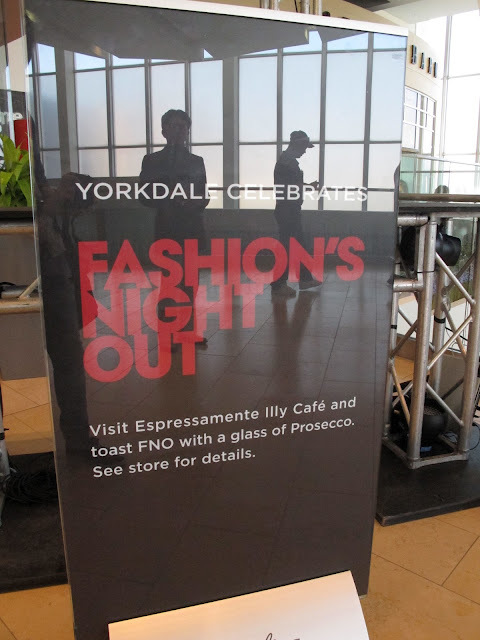 I dropped by Yorkdale and Bloor at the beginning of my evening, and met up with local Toronto style blogger Yevette of yeauONstyle. 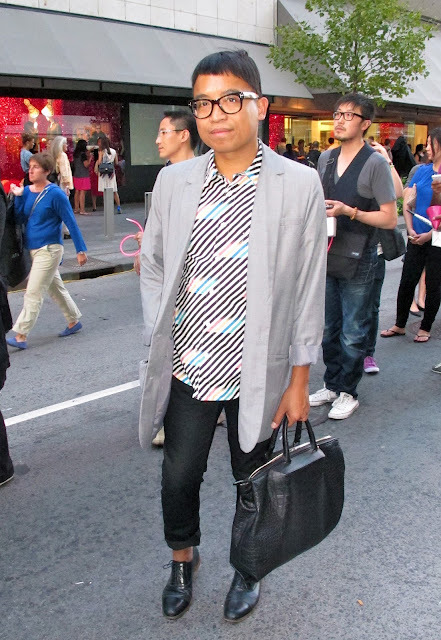 A big section of Bloor Street was closed off for the FNO event. Conveniently, it was also Holt Renfrew's 175th Anniversary Party. There were tents set up and a line for limited edition Holt Renfrew Coca Cola. There wasn't much going on to be honest, other than the fact that there were some cool street styles. It was kind of disappointing to see of that entire district, only Holt Renfrew got things set up. Everywhere else was pretty low key… I got bored there in about half an hour and decided to switch location, which our beloved YYC fashion designer Caitlin Power suggested to head to Burroughes Building on Queen Street. WOOT~ a real party. It was MUCH better at Burroughes and definitely had lots of fun. There was a trunk sale on the top floor where fashionistas could find some unique Canadian fashion designs. Going up the flight of stairs really reminded me the stylish atmosphere I had in Asia. 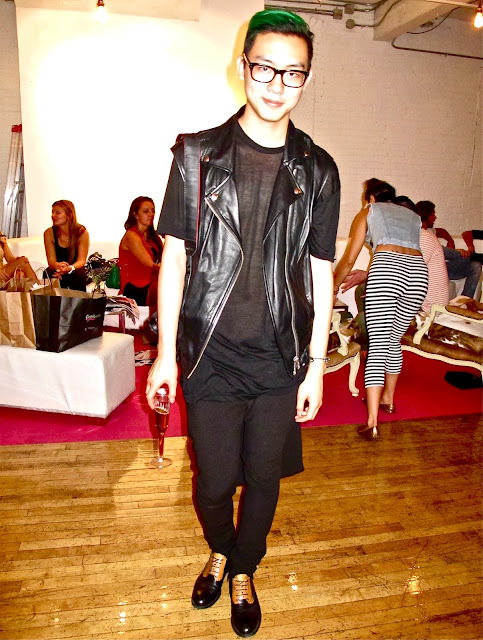 On the rooftop was a Maybelline New York event. 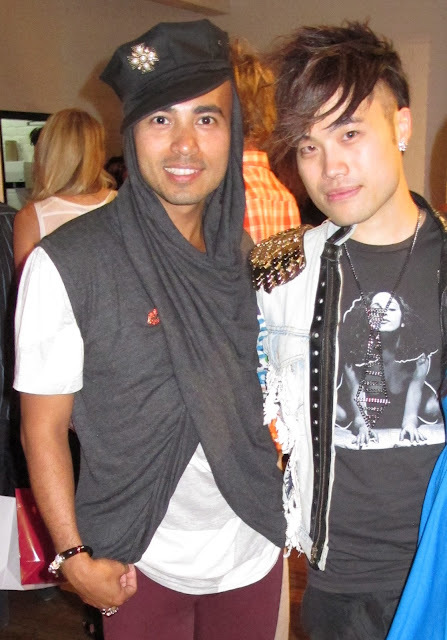 There was also a documentary film screening, which follows New York fashion designer Nary Manivong and the challenges he faced in order to showcase his work in a fashion show. My fellow YYC fashion blogger The Diva Lounge was also at the rooftop party, when her and Caitlin Power and I got together, it suddenly felt strange as though we were in Calgary (since we're all from there). That evening, I wore a jacket designed by The Subliminal Rabbit. 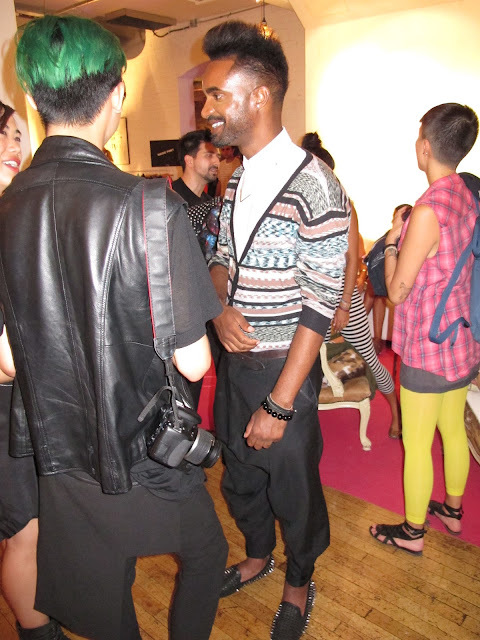 It caught some attentions, which I think greatly represented the art/fashion/culture scenes of Calgary. The Diva Lounge and I later went to Drake Hotel for the TIFF launched party…surprisingly Entourage star Adrien Grenier happned to be at Burroughes then Drake Hotel. Overall FNO Toronto was okay… The miss was I couldn't feel the hype nor the fashion experience that it's suppose have. Afterall, it was the opening gala of TIFF, maybe the attention was diluted? 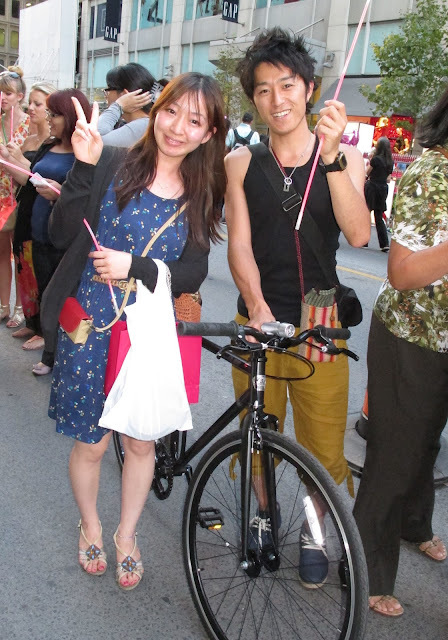 The biggest hit though got to be the vibrant, stylish, and charismatic energy Torontonians had :). Thank you for being so fabulous and connected with Binzento. <3 Perhaps next year YYZ, I'll be back again for your FNO. Binzento Visits Creamery Blog GIVEAWAY!